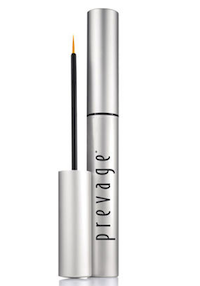 Gathering My Roses: SheSpeaks.com: Prevage Giveaway! SheSpeaks.com is giving away three tubes of PREVAGE® Clinical Lash + Brow Enhancing Serum from Elizabeth Arden - each prize is valued at $98! In just two weeks, 100% of women using PREVAGE® Clinical Lash + Brow Enhancing Serum saw improvement in the length, thickness and fullness of lashes. It is also clinically proven to provide a 40% improvement in the appearance, length, thickness and density of lashes in four weeks*. Are you ready for full, beautiful lashes and brows? C'mon over and enter to win!